Arrange a meeting with a member of our team by contacting Dr Peter Herbert to discuss your specific needs. Discussions will include all your requirements such as clothing, payment options, booking time slots etc. Contact your GP and ask for a letter that confirms their agreement you are healthy enough to take part in an exercise programme. If you take medication we will need to know what this is and any relevant medical history. This information will only be available to the suitably qualified member of staff who will be working with you. 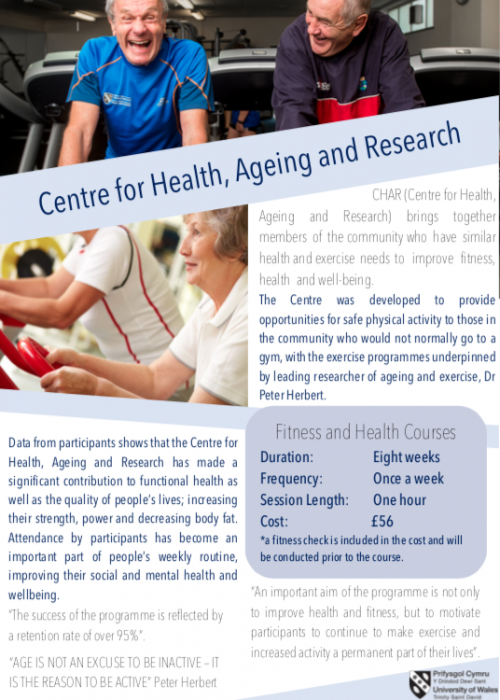 The Centre of Health, Ageing and Research (CHAR) is led by Dr. Peter Herbert PhD, who has numerous published articles investigating the benefits of exercise for males and females over 40 years of age (read more in the research section). David Gardner MSc has many years of experience in both clinical and sports physiology and is currently conducting research into resistance training for females. 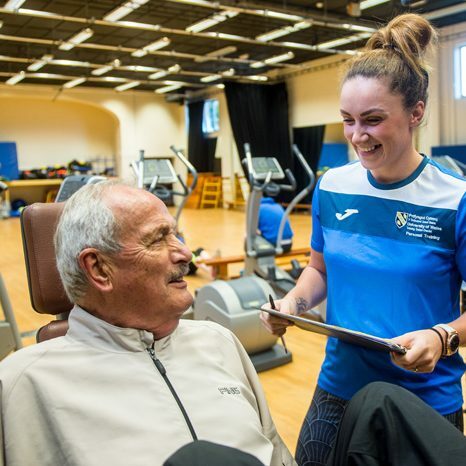 They are supported by a team of qualified gym instructors and personal trainers who are currently studying for a Bachelor of Science degree in Exercise Science. 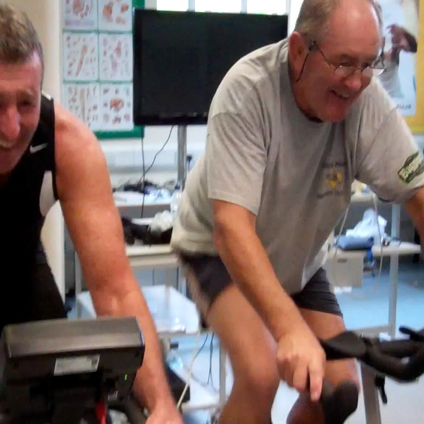 We are a staff that care and our primary aim is to ensure you are fit, healthy and happy in your training. We pride ourselves in providing programmes that are suitable for every individual. You will be encouraged and motivated to achieve success sensibly and safely whether you are a total beginner or experienced sports person. Being physically active on a regular basis is a positive move to achieving better health and fitness. Studies have shown that exercise provides numerous health benefits and that older adults can improve their quality of life by staying physically active. Even moderate exercise and physical activity can improve health and fitness. Lack of physical activity can lead to more visits to the doctor, more hospitalizations, and more use of medicines for a variety of illnesses. 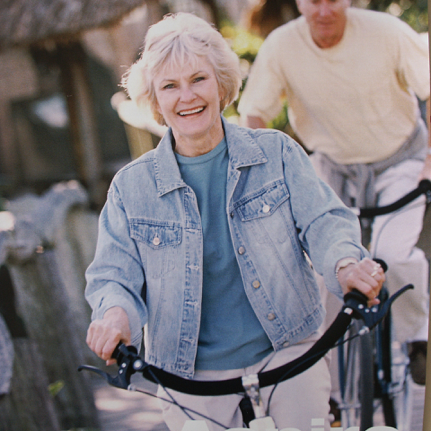 Staying physically active and exercising regularly can help prevent or delay many diseases and disabilities. In some cases, exercise is an effective treatment for many chronic conditions. Studies show that people with arthritis, heart disease, or diabetes will benefit from regular exercise. Exercise also helps people who are overweight, have high blood pressure, balance problems, or difficulty walking. Regular, moderate physical activity can help manage stress and improve your mood. And, being active on a regular basis may help reduce feelings of depression. 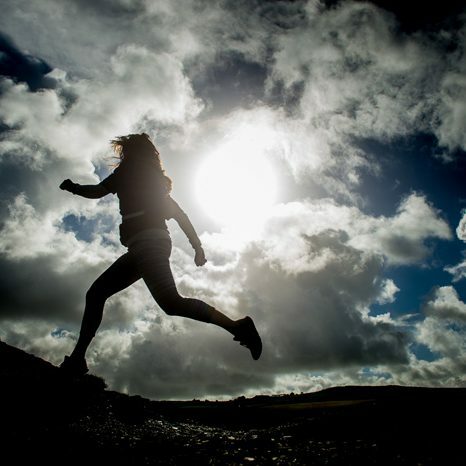 Studies also suggest that exercise can improve or maintain some aspects of mental function. Being physically active can help you stay strong and fit enough to keep doing the things you enjoy. 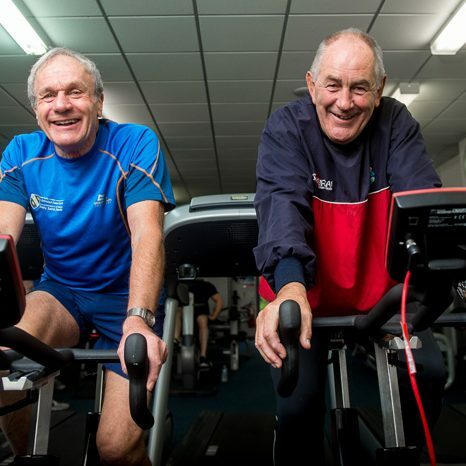 It enables you to benefit from exercise such as jogging, cycling and swimming and many leisure activities such as hill walking, tennis and golf. Some older adults can be reluctant to exercise and concerned that exercise will be too hard or will harm them. In fact, inactivity is regarded by many scientists as the greatest cause of ill health in later life. Physical activity describes activities that get your body moving such as gardening, walking the dog, going to the shops and taking the stairs instead of the lift. Exercise is a form of physical activity that is specifically planned, structured, and repetitive such as weight training and aerobics. Including physical activity and exercise in your life will provide you with health benefits that can make you feel better and enjoy your life much more as you age. Sedentary who do not currently exercise. 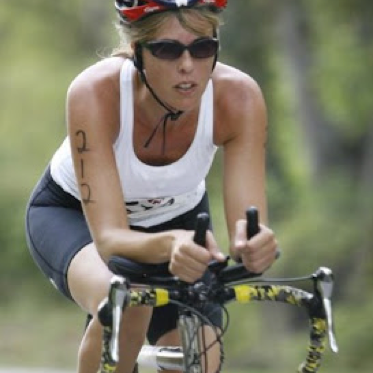 It is never too late to reap the benefits of increasing activity levels. 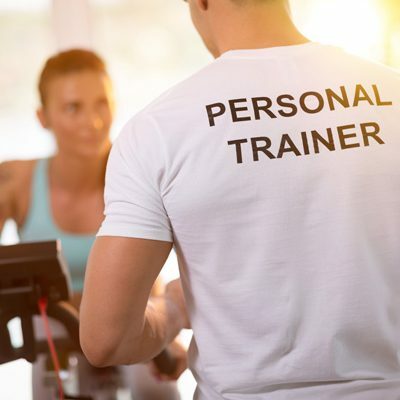 If you have not exercised for many years you will be provided with a personal programme that will gradually introduce you to exercise that will be both beneficial and enjoyable. Appropriate staff will be assigned to safely supervise your progress. They will have professional qualifications in working with clients who have medical issues. You have achieved good health and fitness standards and need extra motivation to achieve more. Possibly entering a local fun run or charity cycle or perhaps you want to look the absolute best you can. You will be provided with short and long term goals utilizing the best and latest research findings in exercise science and sports performance. Progress can be monitored in our Performance Laboratory utilizing the latest, state of the art equipment. Staff who have coaching and personal experience at national and international levels will be available to advise you.